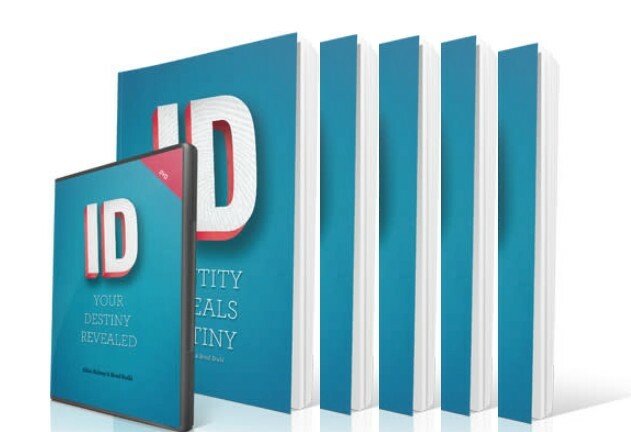 ID Your Destiny Revealed Workbook and DVDs This 8 part DVD and workbook study can be for individuals, or additional workbooks can be ordered separately for group studies. Most of us feel God calling us to something more—something specific that is uniquely ours to offer. When we feel the weight of that calling, we often don’t know what it is or what to do about it. To help you discover God’s destiny for your life, Pastors Brad Stahl and Allan Kelsey created the ID Seminar. It’s a process they developed over three years, and now it’s available for you to experience on your own with ID Seminar—Your Destiny Revealed.